RECORD STORE DAY EXCLUSIVE 12 INCH!! 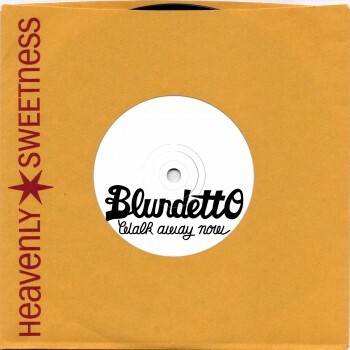 “Walk away now” One of the strongest track from Blundetto’s second album featuring the NYC hip hop/ dancehall MC Jadhan Blakkamoore. On the B side, Blackjoy, the producer of the album, takes the track to another universe, dark and groovy for a remix which could become a dancefloor classics. EXCLUSIVITE DISQUAIRE DAY!! “Walk away now” l’un des meilleurs morceau du deuxième album de Blundetto avec en featuring le MC new Yorkais Jadhan Blakkamoore. En face B, Blackjoy, le producteur de l’album, emmène le titre loin, loin, loin vers des univers sonores plus noires et groovy. Un remix imparable qui pourrait devenir un dancefloor classics.